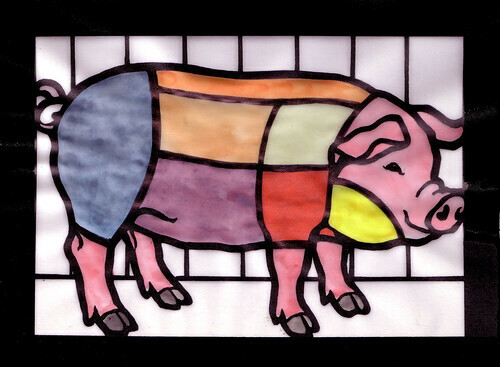 I got this cool little faux stained glass coloring book from my local art store, and added some black lines to transform it into a butchery chart. New fav. I like them better sans-labels.